It is okay to practice the game that people guess is the next challenge. Who knows? They might be wrong. Your Neopet will continue to appear in the competition as it was when you submitted it into the contest. Oh dear, please, no chewing off of feet! Goodness knows Dragona does that enough for everyone trying to get at socks. It's quite messy. Ads like that are NOT wanted on Neopets by us any more than you. If you see an ad that is inappropriate or is interfering with your site play by popping up or moving into the center of the window please report it. We'd appreciate it if you could provide all the information you can when reporting a bad ad, such as the source code. This is bending the spirit of the rules. No one should advertise a Neopet that doesn't even exist yet, nor should they advertise an application that even resembles a competition and/or sale. The clothing will return to your closet. We've noticed that. *shakes fist* Occasionally we'll answer a two for one, but sometimes we'll also cut the extra question off. Interesting idea, but there is no way to delete read books at this time, and we aren't planning to change that. 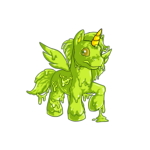 Good luck, though... if you want to use a different Neopet, then we suggest starting with a Grundo because they naturally begin with a lower intelligence than most Neopets. Don't let that fool you, though. A lot of Neopia's greatest minds are Grundos! Nope. And yeah, that would be a lot of combinations. Still... no. During the week-long celebration of Neopets' birthday we allow players to send Flash games scores 5 times a day. This will end after the week is over though, so enjoy it while it lasts! No matter what, people are going to find the oddest ways of transferring and trading Neopets, and we don't think there's a good way to build a simple-to-use system that can handle all the strange possibilities you players come up with. Please either use the system in the way we have it worked out, or be very cautious and decide if it's worth the risk using other methods. We think the fact that the account is frozen should be a good clue. If we're having a Neocash giveaway it's certainly not going to be $20's worth, and we're definitely not going to send a Neomail asking you to go to an offsite link to acquire it. Neopets will never, ever contact you asking you to go offsite. Do NOT fall for these types of scams. It's your duty to protect your account and your Neopets. Please don't let them down by making a foolish mistake based upon greed. There are no ways to get twenty paint brushes for giving someone your password. There are no "Neopoint generators." There are no links on obscure websites that will give you Neocash. These are all scams, and visiting such sites can also cause your computer to become infected with malicious programs. Not at all! Actually, we'd like to make an addendum to last week's Editorial. It seems the Ficus Tree was meant to be both a Neohome and customisation item, and should now be working properly again as both. Huzzah! Dude, I told you to try and collect seashells. NOT buildings. Disparity took a deep breath and sat back on her heels, looking miserable. They had been digging for ages and weren't making any progress, and they were all exhausted.